Get through the turnstiles before match patrons or even the players themselves to see how the team at Croke Park gears up for a big match day. Watch as the pitch undergoes final preparations and the build-up begins throughout the grounds. The Match Day Access Tours are a unique experience and suitable for all the family. You’ll learn all the facts and figures about match day in Croke Park including how the television broadcasts operate, what happens on premium and corporate levels and how the county teams begin their day at GAA Headquarters. This tour includes spectacular pitch views from the upper tiers as well as a sneak peek in to the player’s lounge and a walk under Hill 16. 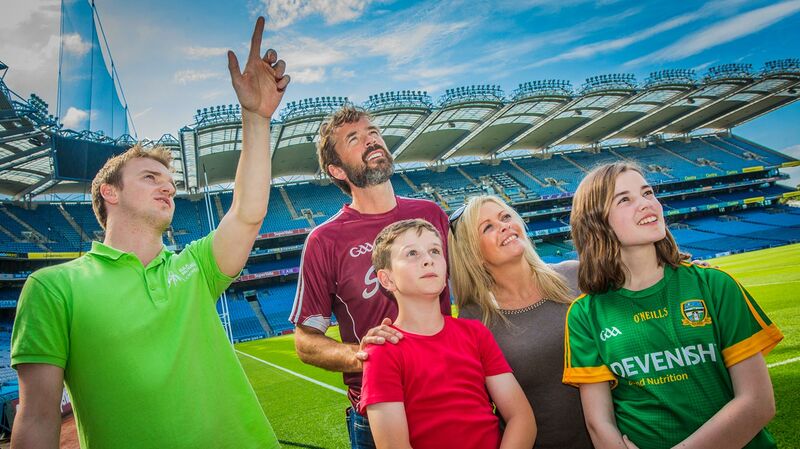 The Tours will take place ahead of the GAA Football and Hurling Championship Semi-Finals. Comfortable walking shoes are advised and don’t forget to dress appropriately for the weather. This tour lasts approximately 1 hour and 15 minutes. Entry is via St Joseph's Avenue (off the Clonliffe Road). No late admittance.